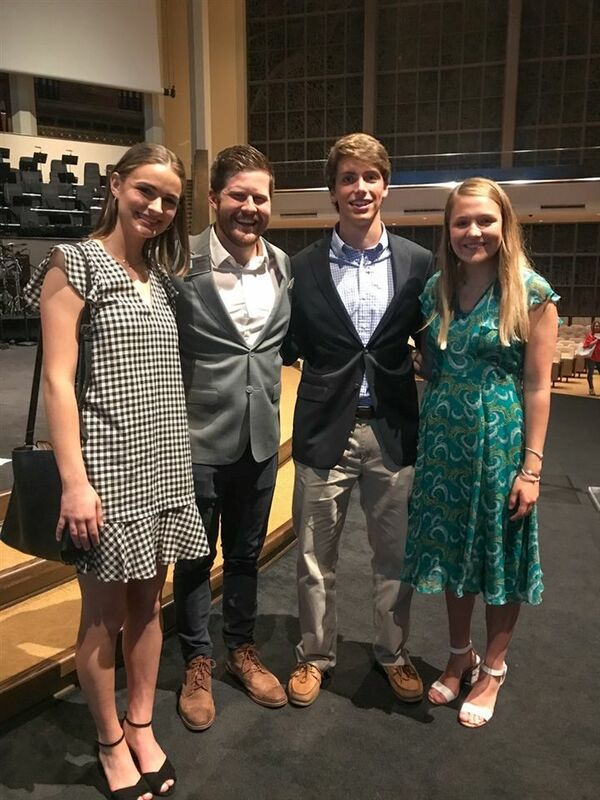 Second Students Sunday was held access all SBC campuses, but it was the Woodway campus SBS seniors Joseph DiCecco, Charlotte Hartman, Hannah Price, Cole Smith, Kylie Tidmore and Drew Young shared their testimonies from the Woodway platform. Each student started writing their story several months ago. Then, two weeks prior to the service, they spent hours at the church practicing their messages while receiving help and critiques from our SBC youth staff. SBS seniors prayed over and directed the service and led worship through song and instrument along with the SBS Vision Choir. Click here to view photos from this year’s Second Students Sunday.